Crayfish Cottage is a newly-launched sister cottage to Copperpot Cottage Portrush owned and run by The Millar family. For two years in a row we are Tripadvisor Certificate of Excellence winners! 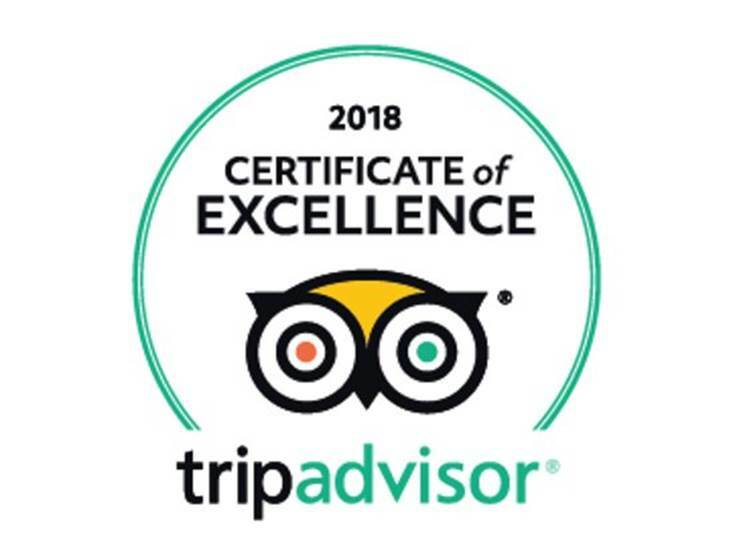 Thank you to all our lovely guests who helped us achieve this. The cottage is so charming! We would start our day with breakfast in the fragrant English garden, then head out to explore the sites , come back for dinner , watch movie in a cozy room ( or watch sunset on the beach!) and end the day with sleep on the comfiest bed and softest pillows ! Only after leaving this cottage and having to stay for remainder of our vacation in a different one i realized how much thought about guest's comfort did Millar family put into making this cottage available . From personally greeting us and showing around the house (few things were different from how it is in the States , so this was really helpful) and also letting us know what attractions are nearby, to having beds and pillows so comfy ( really appreciated after long day of sightseeing), to covering eastern bedroom window with heavy drapes so that early rising sun does not wake you 5am, to keeping lovely garden in the backyard that makes you feel like in fairy land, to even little things like USB outlets so we can change our electronics and having DVD player so we can unwind with a movie , and definitely Wi-fy was a big plus so that guests visiting for the first time like us can research all the places of interest and hours of operation and such. Cottage is very clean, has beautiful decor , kitchen has everything any family would need - we not for a moment fell any discomfort or that something was missing. Location of cottage is also perfect - so close to the beach and downtown , so it was really easy to just get out after dinner and go watch sunset on the beach. We had enough attractions to fill our 12 day visit and all were withing 15-45 minutes drive from Portrush . Our only regret is that we couldn’t stay longer. We had an amazing experience at Crayfish Cottage from our intial meeting with Jonny to checkout. We loved checking in after a long day of driving to a wood burning fire in the fireplace, a lovely home (pictures do not do it justice), fresh bread, milk in the fridge, and an assortment of toys and books for our littlest one. Seeing the smile on her face as she found the toy bin was priceless. There was plenty of room and kids were stoked to have fast wi-fi. Extras like babygates, high chair, toys, books, movies, crib, quality bath products, laundry detergent, and wood for the fire were MUCH appreciated. There is also so much to do in the area: dark hedges, dunluce castle, carrick a redde rope bridge, giant’s causeway. Highly recommend!!!! We had a lovely stay in the beautiful Crayfish Cottage. Great base to explore from and then come "home" - so comfortable and organised! Z loved the upstairs room and has made firm favourites with several of the books from "the big book box". We even managed to BBQ twice - splendid weather. Thank you very much. Enjoyed our stay at Crayfish Cottage. Clean and comfortable and everything we needed for a lovely break. Loved the decor and all the nice quirky touches. Fabulous cottage, wonderful welcome, all the comforts of home. Wish we could stay longer! Thank you so much. We have had a most enjoyable stay at Crayfish Cottage. Nicci met us on arrival and was very welcoming. The cottage was clean and tidy with all mod cons. The boys loved their hideaway upstairs! We would definitely recommend to family and friends - hope to see you again! Our family needed a relaxing weekend getaway. We had planned to go to London but the plans fell through at the last minute and we booked Crayfish Cottage at very short notice. Nicci corresponded with me to arrange details and was most professional going out of her way to be helpful. . As promised, Jonny met us on arrival and was most welcoming, showing us around and explaining everything. The cupboards were full of basic food items like tea, coffee, hot choc, jams, pasta, etc. There was a freshly baked rustic loaf and milk in the fridge, wine on the table and a vase of fresh flowers. The cottage was immaculately clean and fresh and lovingly restored with all the original features for example the very unique doors and handles. The beds were so comfortable with Laura Ashley mattresses and silky white linen. There was bubble bath aptly named Relaxing and an abundance of fluffy towels. The house was warm and the neighbourhood peaceful. Upstairs there is a lovely little reading room / den with a basket of books and puzzles which my daughter loved. Jonny told us he was restoring a writing desk so that will be a wonderful addition to use next time. My teenage son was very happy with the wifi and television. The kitchen has lovely dishes, ample pots and pans and good cooking facilities. Outside there is a very private garden where we had breakfast the first morning. We were sad to leave. We would definitely recommend Crayfish Cottage and we will be back soon.